EVERYONE IS WELCOME AT COBB & CO.
Whatever tickles your taste buds, you can be sure we’ve got it in store! 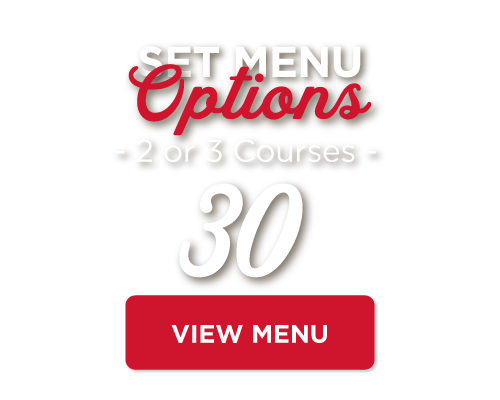 From mouth-watering Angus steaks and burgers, to fresh pasta and seafood, we cater to all. For those after a classic, we serve delicious roasts with all the trimmings, lamb shanks, Southern-style ribs or, for something fresh and exciting, try one of our Cobb favourites… Coconut Chicken! 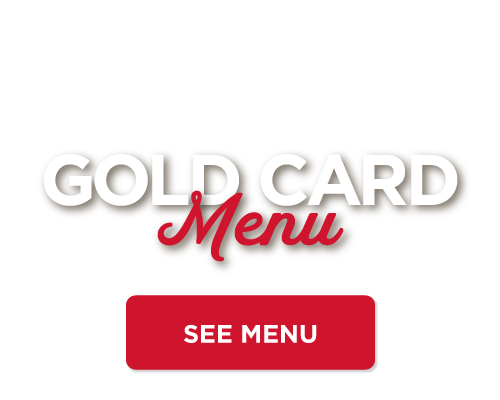 Check out our All Day Menu. 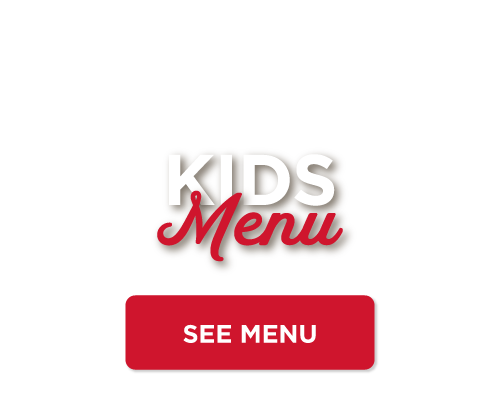 For the young or young-at-heart, we have menus for toddlers through to two and three-course set menus for our valued seniors. We also have our renowned kids’ mocktail drinks menu… did someone say Traffic Light?! Whatever your dietary requirements, we offer both gluten and dairy* free options, as well as a number of vegetarian dishes – these items are clearly marked on our menus for your convenience. *Please note all our food is prepared in a kitchen that handles gluten and dairy products, and while we take every care to avoid cross-contamination, we cannot guarantee this. Our kitchens are nut free, and while we take every care, we cannot guarantee that products brought in do not have traces of nuts from suppliers’ premises. If you have a food allergy, please let our team know. Topped with cheese, bacon, sweet chili and sour cream. Mussels, prawns and fish in a creamy chowder, with homemade croutons. A classic: shrimps, seafood sauce and iceberg lettuce. Cooked in white wine, coconut cream and lemon. Served with lemon and free-range aioli. CAUTION: Highly addictive, crispy chicken wings with Cobb’s special wing sauce. Creamy mushrooms and bacon in a warm pastry case. Homemade sauce topped with cheese and sour cream. Pork belly with manuka honey 3-mustard sauce, mash and coleslaw. Individually roasted with balsamic mint jus, mash and salad. With lemon, tartare sauce, classic fries and salad. Chicken breast marinated in spices and coconut cream on steamed rice. Pan-fried in butter with lemon and capers, over smashed potato and salad. Burgers come with classic fries. Angus Beef Burger with bacon, onion rings, cheese, tomato, lettuce, aioli and relish. Grilled chicken, bacon, lettuce, tomato, cheese, aioli and relish. For the hungry vegetarian: Vege patty, free-range egg, onion rings, tomato, fresh greens, cheese, aioli and relish. Chicken breast, bacon and fresh herbs in a cream and parmesan sauce with a hint of garlic and tomato. In a cream and parmesan sauce with a hint of garlic and tomato. Topped with Napolitana sauce, mozzarella and parmesan, served with green salad. Cos leaves, bacon, grilled chicken, parmesan, croutons and free-range dressing, topped with a poached egg and anchovies. Toasted with garlic, cumin and fennel, then mixed with baby spinach and cherry tomatoes. Cobb’s marinated and slow-cooked pork ribs with classic fries. Smoked fish pie, fresh mussels, a shrimp cocktail and golden fried seafood. With a selection of roasted and steamed vegetables, topped with Cobb’s rich gravy. Cobb’s original crumbed and golden fried beef schnitzel filled with ham and mozzarella cheese. Served with salad and classic fries. A tender shank of lamb, mash and seasonal vegetables with mint and rosemary jus. Apricot and cream cheese filled breast, crumbed and golden fried with salad and a baked potato. NZ pork loin with mash, seasonal vegetables, Cobb’s rich gravy and apple sauce. All our AngusPure steaks come with classic fries and salad. Ask to swap for seasonal veges, baked potato or mash. Premium AngusPure Sirloin topped with prawn cutlets in a creamy parmesan sauce. 200g Premium AngusPure Rump steak with Cobb’s pork ribs marinated in Southern BBQ sauce. All of our steaks are premium Anguspure – naturally aged for a minimum of 21 days to ensure tenderness and quality. Gold medal Winning! The very best of NZ beef. We do our best to ensure that our GFA menu items are accurately represented. We use wheat products in our kitchen, so we cannot guarantee that cross-contamination has not occurred. If you have a food allergy, please discuss this with your waitstaff. *Our drink menus may have variations across Cobb & Co. locations to recognise local brands and available options. Watch your childhood favourite fly head-long into a tall glass with a double-shot of vodka waiting. Tequila and Triple Sec, blended into our bar’s sweet/sour infusion, creates this renowned U.S. favourite. … and getting caught in the rain. White Rum and Malibu blended into coconut cream and pineapple. The finest luxury of Puerto Rico since 1954. After perfection? The bar will combine Kahlua, Baileys and Frangelico with smooth cream and chocolate. This is the treat you deserve! Made just how the fans like it – vodka over tomato juice, Worcestershire, Tabasco, celery salt & ground pepper. Pineapple juice blended into our bar’s sweet/sour mix. The smooth blend of pineapple and coconut gives all the sensation of a real Piña Colada, minus the alcohol. Heard of a Bloody Mary? All the flavour and spice with none of the vodka. Served as doubles, unless otherwise requested. Top shelf spirits also available. Rolled in our cinnamon sugar and topped with ice cream and chocolate sauce. Cooked in homemade butterscotch sauce, served with fresh cream and ice cream. Milk, white and dark chocolate cheesecake. Served with cream, kiwifruit and wildberry coulis. Apple baked in flaky pastry with ice cream and cream. With whipped cream, ice cream, kiwifruit and passionfruit coulis. Mississippi mud cake with chocolate sauce, chocolate mousse, berries and cream. Individually baked and served with cream and ice cream. Vanilla ice cream topped with all the trimmings! Caramel or berry also available. Fresh fruit, berries and sorbet. Baguette filled with streaky bacon, lettuce, tomato, free-range aioli and relish. With lemon, tartare sauce, classic fries and garden salad. Cos leaves, bacon, grilled chicken, parmesan, croutons and dressing, topped with a poached free-range egg and anchovies. Cobb’s marinated and slow-cooked pork ribs, with classic fries. With baby spinach slaw and house dressing. Pan-fried lambs liver, onions and bacon, covered in rich gravy, over creamy mash and grilled tomato. are all available on our All Day Menu. Invercargill and Levin’s lunch menu offering may vary. Minimum 8 persons per group. Upgrades and Sides are available for an additional cost. Shrimps drizzled with Cobb’s classic seafood dressing, served over crisp lettuce. Mussels, prawns and fish simmered gently in a creamy seafood soup – topped with homemade croutons. Hot and crispy with garlic butter and herbs. Add cheese and bacon for free! Served with lemon, tartare sauce, classic fries and garden salad. Our daily roast cooked to perfection, with a selection of roasted and steamed vegetables, topped with Cobb’s rich gravy. Cos leaves, bacon, parmesan, grilled chicken, croutons and dressing, topped with a poached free-range egg and anchovies. Premium Rump served with classic fries, salad and your choice of sauce. Choose one of Cobb’s classic burgers, served with classic fries. A big hearty Angus Beef Burger with bacon, crispy onion rings, cheese, tomato, lettuce, aioli and relish. Vege patty, free range egg, crispy onion rings, tomato, smashed avocado and fresh greens. Loaded with cheese, aioli and relish. Caramel or berry sauce also available. With chocolate sauce, berries and cream. Pork belly with manuka honey 3-mustard suace, mash and coleslaw. Premium Sirloin served with classic fries, salad and your choice of sauce. With whipped cream, ice cream, kiwifruit and passionfruit couli.